center in Orange County for all things Medical Marijuana related. We also have several blogs for links exchange. Many thanks for your support in the Medical Marijuana community. "If marijuana is so bad for you, explain Michael Phelps?" So let me get this straight. A world famous athlete smokes pot, multiple celebrities and law enforcement smoke pot, even the PRESIDENT himself said he used to smoke pot. Why, why after 70+ years is marijuana still illegal? It's basically been proven to be unable to harm you in any serious way, but alcohol, after countless wrecks and bar fights, is still legal. I feel like my heads going to explode with anger. My blog advocates Marijuana use if anyone is interested in such. This has been a very long and slow battle for cannabis users. 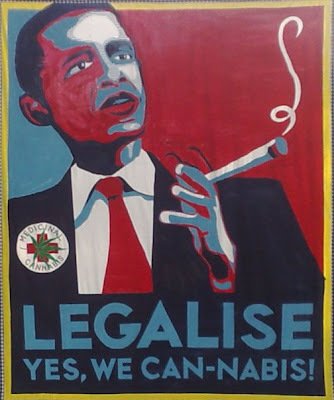 I don't understand why other countries have already decriminalized legal weed but the US is still prohibiting it. People should be allowed to buy legal weed and psychedelic pill. Not once has anyone been recorded of dying from an overdose of cannabis because it is non-toxic. If only people will use this drug responsibly, it can be a very effective treatment for a long list of ailments. THE REAL REASON CANNABIS IS STILL ILLEGAL IS BECAUSE HEMP CAN PRODUCE OVER 250,000 TEXTILE PRODUCTS AND WOULD REPLACE THE FUEL INDUSTRY, PAPER INDUSTRY AND PHARMACEUTICAL INDUSTRY PLUS MANY MORE. OUR GOVERNMENT CANNOT AFFORD TO LOOSE THE MONEY OUT OF THEIR POCKETS SO INSTEAD THEY PUT A BAN ON ALL CULTIVATION OF A MIRACLE PLANT(MARIJUANA). Then again, there are people that are being hypocritical by allowing alcohol consumption but not Kronic Black Label (cannabis) usage. With passionate believers on both sides of the argument, it will be interesting to see what happens when the smoke clears. This is a very interesting issue today. I heard some thoughts about this and I want to know more. The info in this article is useful. I can't wait to read more about this. ☺ Just watch videos and get paid.